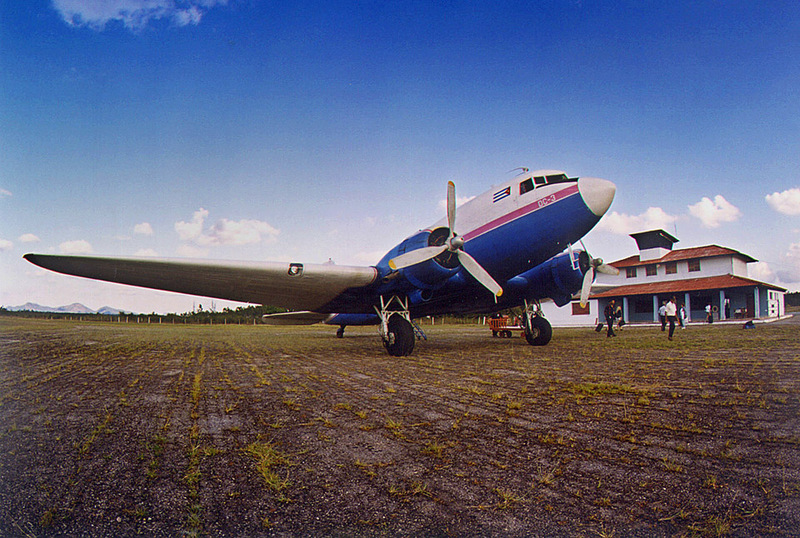 A historic sense of déjà vu is the only way to describe flying on this beautiful Douglas DC-3 (CU-T124). Still in commercial service with Aerotaxi, a Cuban domestic airline, the 50-year-old aircraft sits on the apron at Aeropuerto Siguanea, Isla de la Juventud. 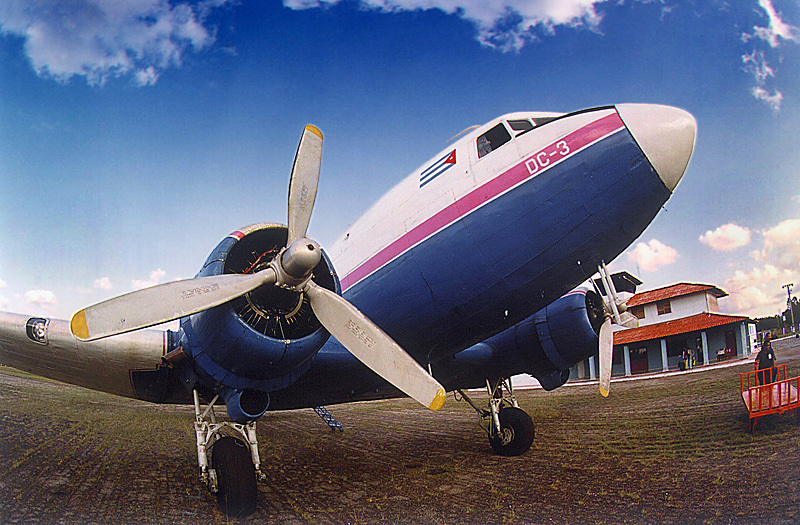 We had landed there following a 45 minute flight from Aeropuerto José Marti in Havana.